If you follow me on Snapchat (SummerxSkin), you might have seen that a few weeks ago James, the husband, and I decided to be a little spontaneous and dye my hair! While I'm always really picky about my eyebrows or what skirt to wear to a party, I have never put too much effort into my hair; in fact, I'm pretty adventurous when it comes to dying it different colours or even going for a trim randomly. It had been a few months since I'd gotten my blonde touched up and really wanted a little bit of a lift...to be honest, I was getting bored. 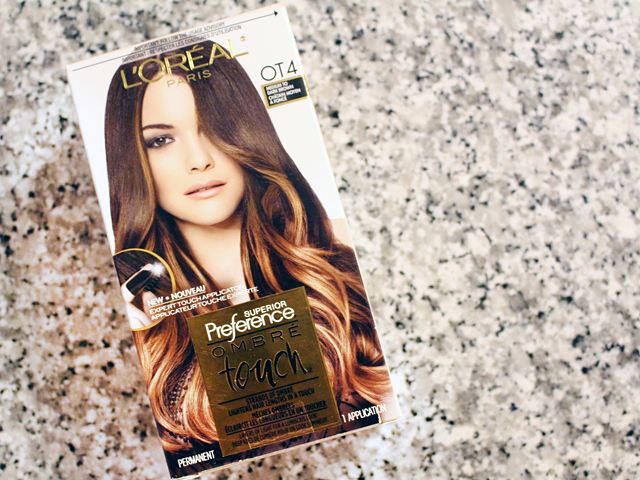 I went to Shoppers Drug Mart and after spending 15-20 minutes browsing the different options, I picked up the L'Oreal Ombré Touch Kit! Thanks for tuning in! Be sure to follow me on Snapchat: SummerxSkin (if you don't already) for real-time updates.